Here are the last week's worth of Transformers related (mostly toy) links that have popped up. This time we have two custom pieces, confirmation that FoC will not be on the PC, new Shout! Factory release, Happy Meal TF Prime toys, Elita One prop for sale and reviews of four TF: Prime Robots in Disguise toys. Full Moon Studios has confirmed that they are not making a port of Fall for Cybertron. Matt Tieger provided a few reasons, the main one being PC gaming is "outside of our area of expertise, to be honest. ...We were spread so thin that I feel like we barely served that audience. Then there were some issues with continued support that were frankly beyond our control, but at the same time did not create a great experience for PC gamers that got it." I am curious what the sales were but I bet the PC sales vs. the consoles makes it not cost effective to spend on the resources needed to avoid repeating their previous mistakes. TFC toys has posted images of their upgrade set for their recently completed Hercules (not Devastator). The set, out in a few months, have a new head sculpt with "rage" face, visor, laser cannon, new design forearms, shoulder attachments (for articulation), bio card and poster. No info on price. Peaugh has posted his review of Robots in Disguise Bumblebee that is a new mold from the TF Prime 1st edition model. It is interesting to see the differences and what appears to be Hasbro's efforts to simplify the figures. The RID toys are starting to hit stores now with reports of Target, Wal-Mart and Toys R Us stocking them. Mileage will vary though as most may not have them yet (those around me have not). 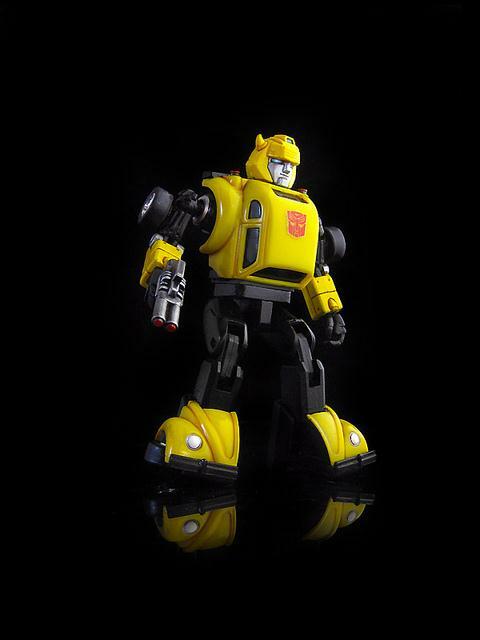 Another Robots in Disguise figure, also a new mold from the 1st Edition release. Looks pretty good, on the fence about getting. Review by Optibotimus. Sure Wheeljack in TF Prime is really the comic’s version of Drift but that doesn't mean the figure isn't pretty cool. I plan on adding this one to my to get list. Review by Peaugh. Same story, as before with new mold and new transformation sequence from the Japan only 1st edition release. Another one I am on the fence about getting. The Dark of the Moon toy line is winding down but there is at least one more release coming, not sure when or what stores. 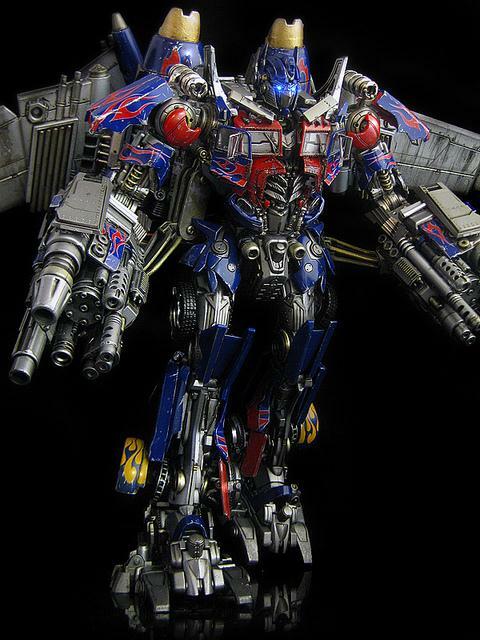 This is the stateside release of a Takara toy using the Wal-Mart exclusive Optimus Prime deluxe mold. It looks like a pass to me unless the price is right in part because the deluxe figure isn't that good and the trailer itself is essentially an empty plastic box. I have learned more about transformers.Very interesting post. I have Bumblebee, Soundwave, and Wheeljack from TF:P. All I have to say is that Hasbro has really outdone themselves with this line. It is probably the best line ever. 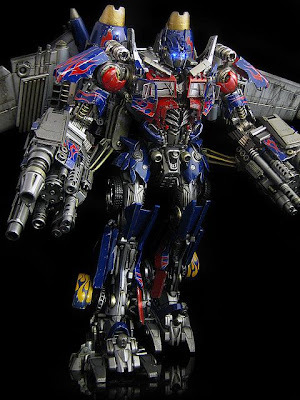 The transformations, locking mechanisms, and the weapons are well done. TF:A was the best since the originals, but I believe TF:P is even better.